Established in 1902 and revived in 1991, Triumph is the mainstay of British motorcycle manufacturing and attracts a loyal following of fans worldwide, whether attracted by the heritage and retro charms of the Bonneville and its variants or the increasingly diverse and comprehensive range that spans from adventure bike in the form of the Tiger to the 675 Daytona sports bike. When it comes to picking your next bike, don't forget to include motorcycle insurance in the things to look at before you spend your cash. 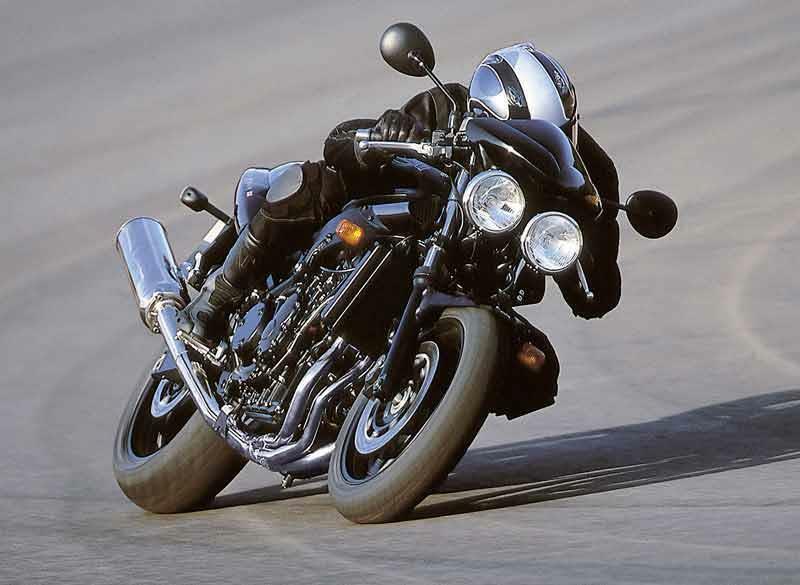 We've picked out a handful of Triumphs which would make a good choice when it comes to performance and insurance costs. And they include everything from a Ohlins-shod track weapon to a retro scrambler. Visually the most arresting of the retro Bonneville range, the Triumph Scrambler also makes a great all-round everyday bike. Dream of being Steve McQueen in the Great Escape as you zip down to Tescos on your cool Triumph Scrambler – just don’t go try to jump the checkout queues! It’s dinky, easy going and novice friendly – but the Triumph Scrambler looks the part too and is comfy for short to medium trips. Based on the Speed Triple launched at the beginning of 2011, this high-spec R version has Ohlins suspension, lightweight wheels, Brembo monobloc brakes, cosmetic changes, a brand new gearbox and a 2kg reduction in weight. 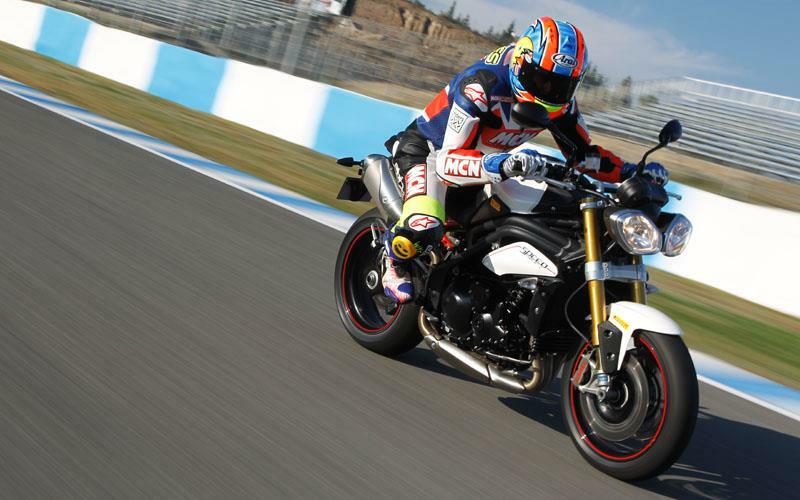 It’s added a dynamic new dimension to the hugely popular Speed Triple, turning Triumph’s feisty street-fighter into to a hugely competent trackday tool. The engine isn’t perfect but it ain’t half bad. A bit snatchy around town but, out in the open, it’s a dream. 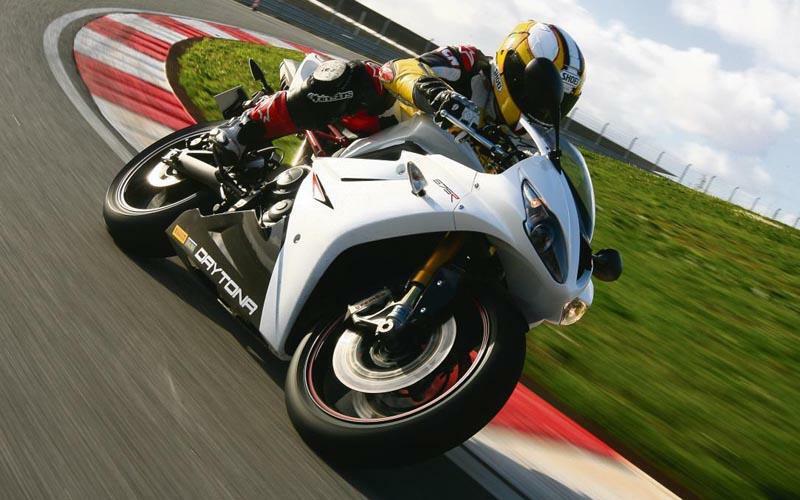 Alongside the excellent handling and sublime brakes, you’re in for one hell of a ride on board the Speed Four. Take Triumph’s superb Sprint ST (Sport Touring) and make it more adept at touring and also pillion friendly and what do you end up with? 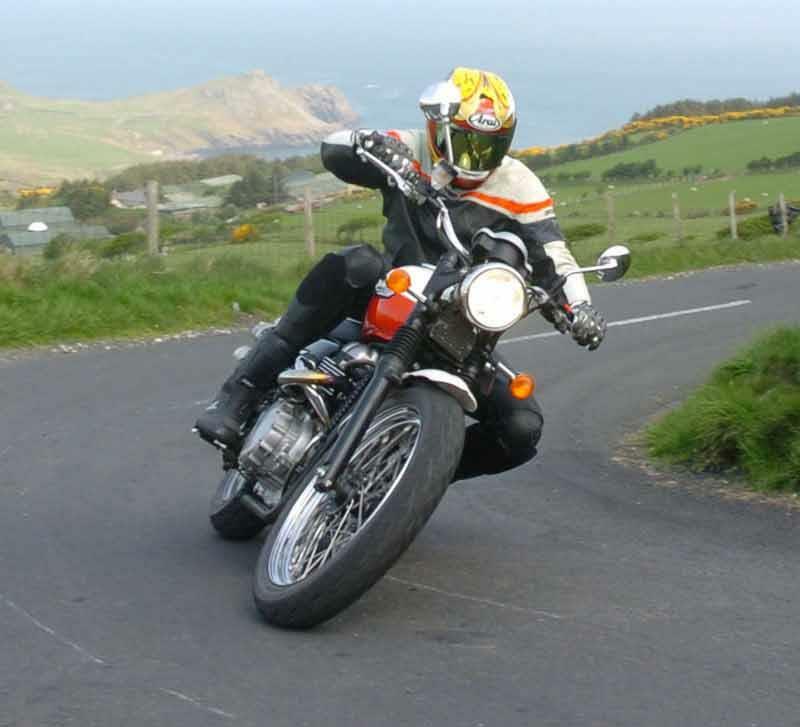 A Triumph Sprint GT (Grand Touring), that’s what. Lower seat height, a wider, more comfortable pillion seat, built in grab rails on the topbox mounts and revised footpeg positions… and more. 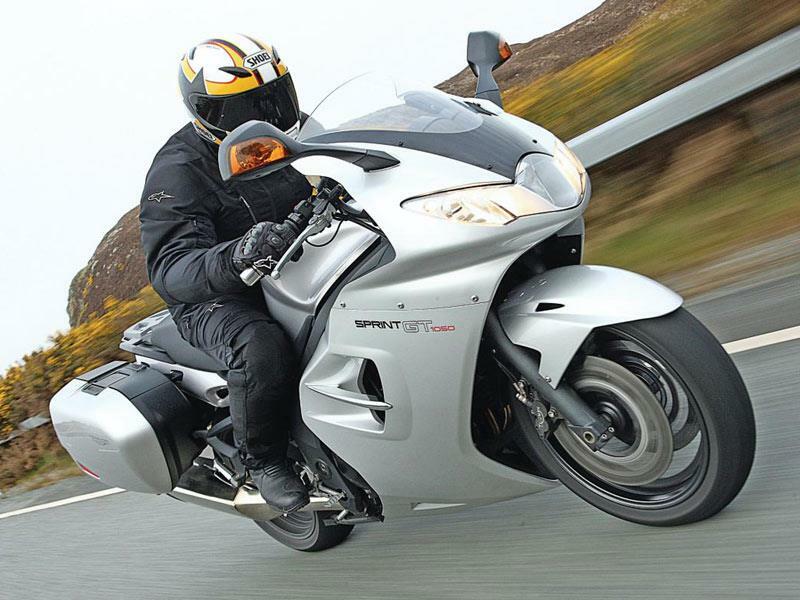 It's comfy for pillion and rider, the engine is flexible and grunty, steering is agile but stable and it can carry a week’s worth of clothing/toiletries with ease. The stiff Ohlins suspension and lithesome, agile nature of the 675R chassis gives the impression it is a sorted race bike. Couple this with impressive midrange from of the triple-cylinder engine and you have a bike that allows devastating corner speed at the track. Although for the road the suspension as standard is bloody hard and necessitates softening off. Simple touches of a red subframe, carbon front mudguard and fairing infill panels make the 675R special and instantly recognisable.